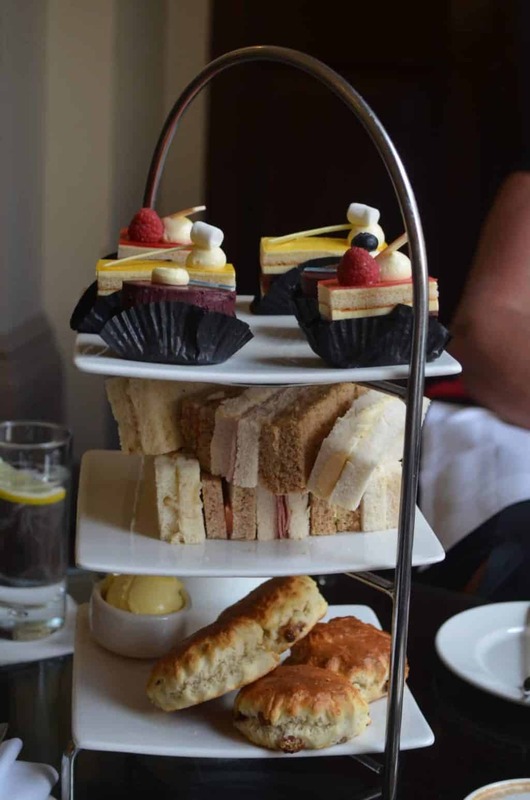 Afternoon tea is pretty synonymous with London. It’s a tradition that’s been around forever, supposedly created by Anna the 7th Duchess of Bedford because the wait between lunch and dinner was just too long. I’m sure any traveller who spends his/her days wandering around entire cities working up an appetite can only agree! My mom and I certainly could one afternoon walking around London. I’ll start by saying that afternoon tea is offered EVERYWHERE in London, but that doesn’t mean that they are all the same. For starters, some start at about 50 pounds per person. For tea, not even the champagne. You can bet I avoided those ones. Also, many require a booking, so if you have your heart set on a specific venue- call up in advance! As usual I was one of those who made the last minute decision with zero planning ahead of time. I got looked down upon in a couple places and was told no on account of not having a reservation, but I didn’t let that stop me. 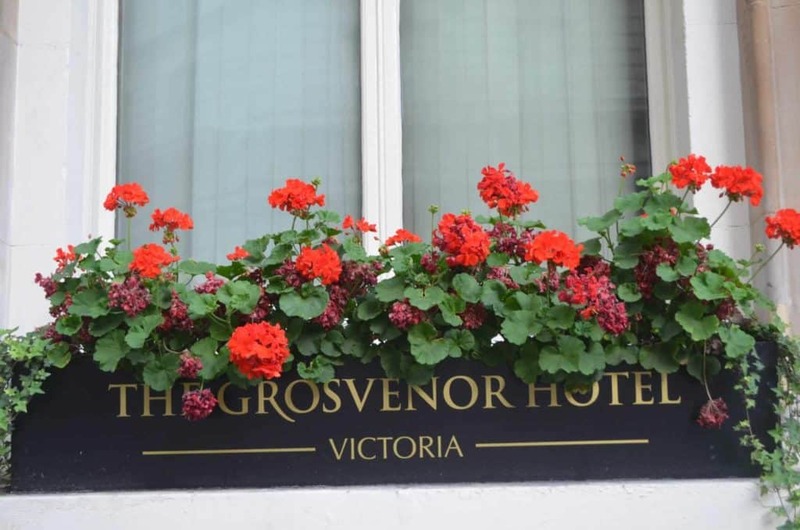 I ended up at the gorgeous Grosvenor hotel, just down from Victoria Station. The door was opened for us and we entered the main lobby with a gorgeous sweeping staircase and tables filled with beautiful flower arrangements. Definitely elegant and lady-like but in our obvious ‘tourist’ outfits I wasn’t sure that we would fit in. The tea room was pretty much as cute as can be. 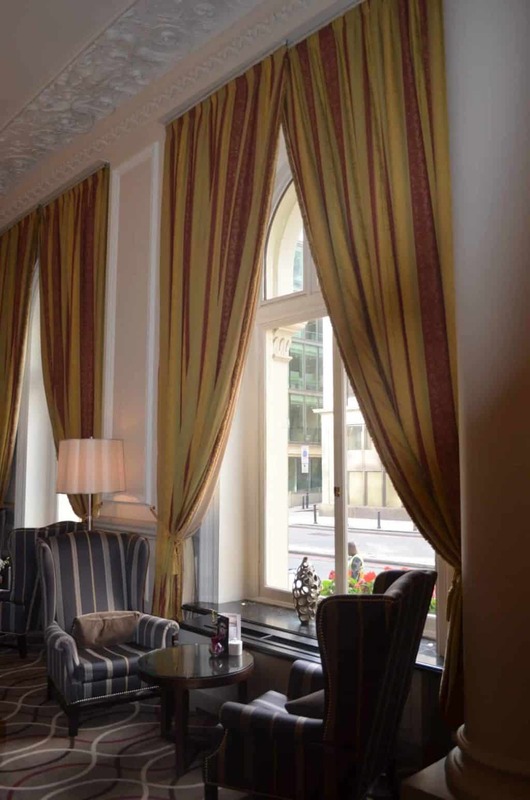 We were seated in super comfortable arm chairs by the window overlooking the busy street. The sun shone through, not bright enough to be in our eyes but enough to keep us comfortably warm. And soon after ordering (ahem may have ordered coffee instead of tea much to the amusement of the servers) we were served the cutest little tray of finger sandwiches, scones, and little desserts. Needless to say everything was as good as it looked. We lingered for a couple hours, no one rushing us out or harassing us. It was a perfectly relaxing way to spend an afternoon. My inner girly-girl was in complete heaven and I would do it again in a minute! I’m glad your persistence paid off – the tea looks delish! Oh it was! Been craving one since!